April 7th in Themes for Businesses, Viral, WordPress Themes by Wordpress Jedi . Those of you who listen to podcast programs on a daily basis are probably familiar with the top podcast networks. If you have unique shows to offer, you can always start your own network. 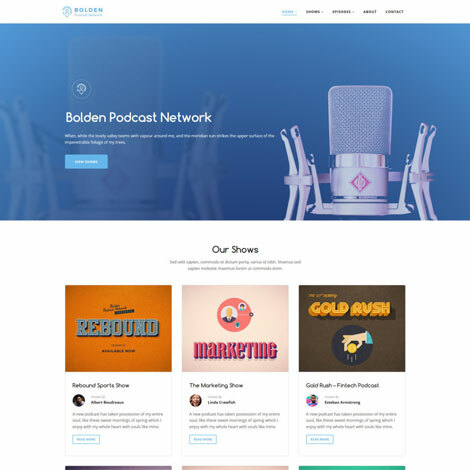 Bolden for WordPress is an attractive theme that lets you build a professional presence for your podcast network.